Ringworm is a very infectious and common skin infection causing a ring shaped red rash. 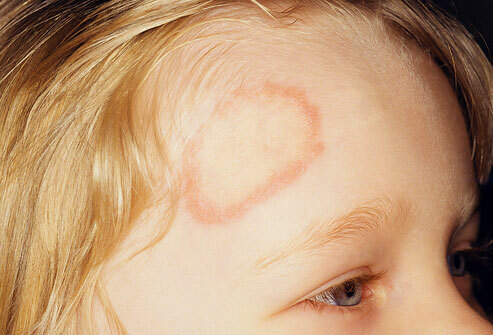 Ringworm is most common among children, but can affect people of any age. Picture of ringworm: Image copyright © Pulse Picture Library/CMP Images / Phototake — All rights reserved. Ringworm isn’t caused by worms. The skin infection, also known as tinea, is caused by fungi called dermatophytes. Fungi are microscopic organisms that can live off the dead tissues of your skin, hair, and nails, much like a mushroom can grow on the bark of a tree.